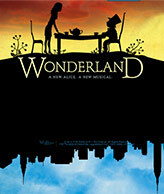 Discover Broadway's heartwarming and spectacular new musical ... WONDERLAND. An exciting new spin on the classic story of Alice and her Looking-Glass World, WONDERLAND is about a modern-day woman who goes on a life-changing adventure far below the streets of New York City, where a marvelous cast of familiar characters help her to rediscover what's really important. Featuring a fresh, contemporary pop score from the creator of Jekyll and Hyde, WONDERLAND arrives on Broadway this spring following a sold-out, two-city national premiere. Choreographer Marguerite Derricks and cast member Edward Staudenmayer talk about the show! Meet the Cast of Wonderland backstage!